ScheduleBase is the fastest and easiest way to schedule employees online. Create a free ScheduleBase account and start scheduling your employees in seconds. Just invite your people and start scheduling. No credit card required. 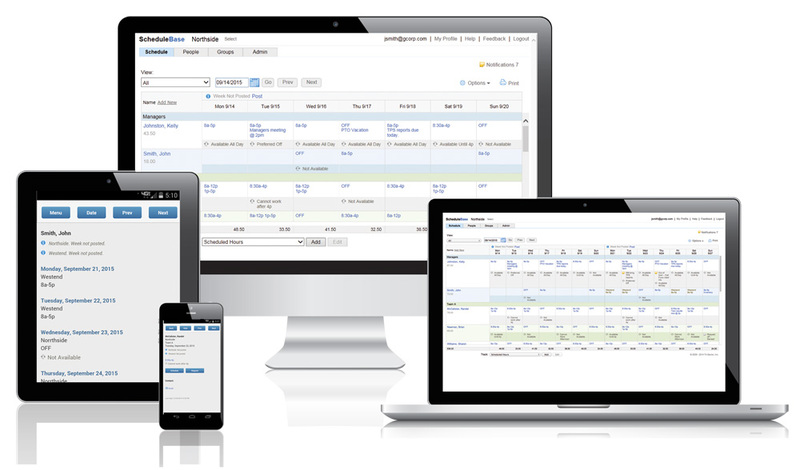 Access work schedules as well as employee availability and requests anytime, anywhere. 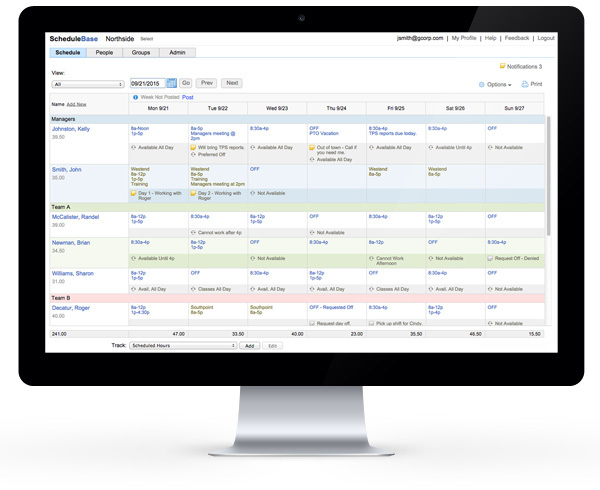 Instantly see who can work and when and send schedules automatically by email and text message. Staff can view schedules, maintain their availability and submit time off and schedule requests online from any browser or mobile device. Download the free mobile apps and keep managers and employees connected. Great for last-minute schedule changes and manager-employee communication.